The Tiny House movement was borne out of necessity in America, partly in response to natural disasters and also a burgeoning desire to live economically and sustainably. 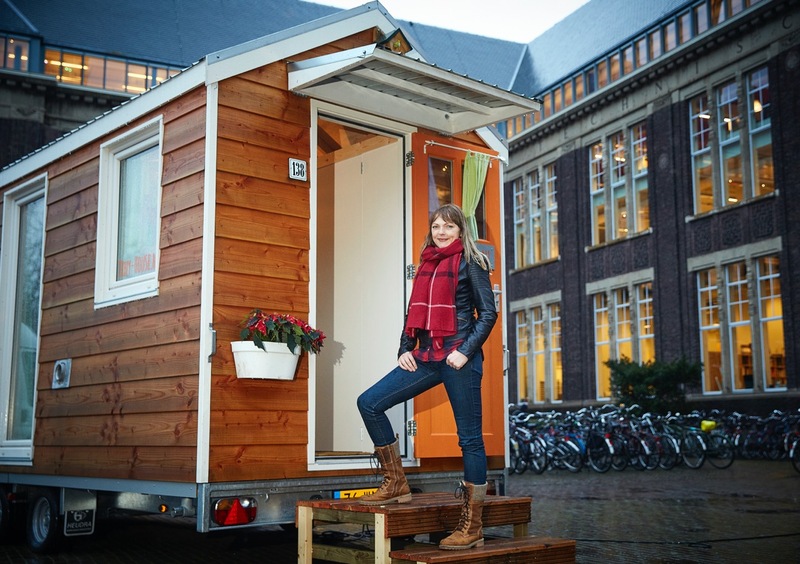 Slowly but surely this small movement has morphed into a Tiny House revolution across the globe. One such person that has the desire to live in this way is Marjolein Jonker from the Netherlands. Her dream started in February 2015. On the way to realising her dream she has been blogging at ‘Marjolein in miniature‘, educating others about her journey and the growing Tiny House movement in the Netherlands. Marjolein is pictured in the photo below outside Dimka Wentzel’s Tiny House. Photo by Phil Nijhuis. “Sustainably built homes, no larger than 28 square metres and meant to be lived in throughout the year. They can be built on a foundation, or on a trailer. Usually they are made entirely of wood, although nowadays sometimes with aluminium frames. Tiny Houses come in all shapes and sizes and there is a lot of creativity and craftsmanship built into them. A Tiny House is for and often built by the owner, from start to finish, to his or her own taste and is invariably a bespoke design. 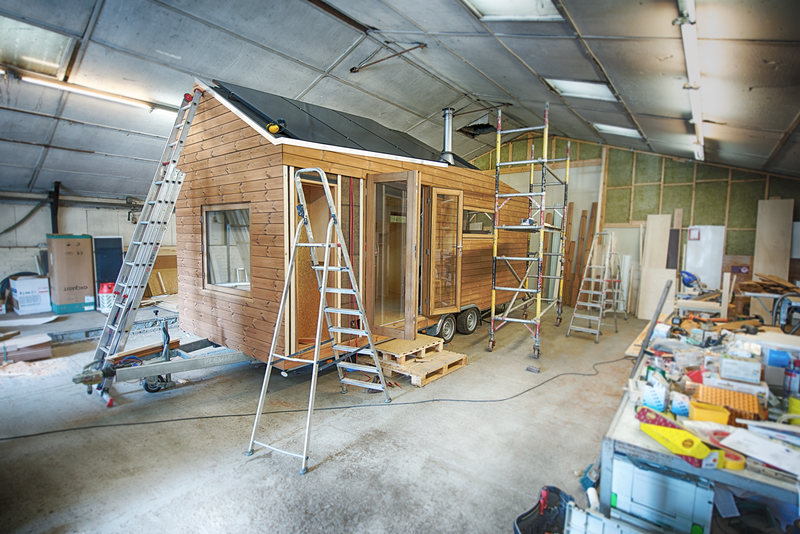 The focus of a Tiny House is one of a simple and environmentally conscious lifestyle that creates more freedom”. “To be self-sufficient in energy the Tiny House features a solar energy system from Victron Energy. Victron has everything that an off-grid installation needs and all equipment is perfectly matched. With the products and services of Victron I am assured of a professional installation of high quality, provided by a company that is constantly working on innovation in the field of solar energy. 1 x EasySolar 24V 1600VA: MPPT Solar Charge Controller, plus inverter/charger with AC distribution, all in one enclosure. Owning a boat myself which is fitted out of with Victron Energy equipment that also allows me to be off-grid (albeit at sea) has many similarities to a Tiny House, so in that sense I can totally relate to Marjolein’s desire for “a simple and environmentally conscious lifestyle that creates more freedom.” We wish her well with her new home and look forward to hearing how the cats Jack and Hella are settling in too!